This is our fourth time giving out our Project Cape Made awards and it never gets old! And this year, because of the generosity of The Cooperative Bank of Cape Cod, we were able to give out two $500 grants during each cycle instead of just one. 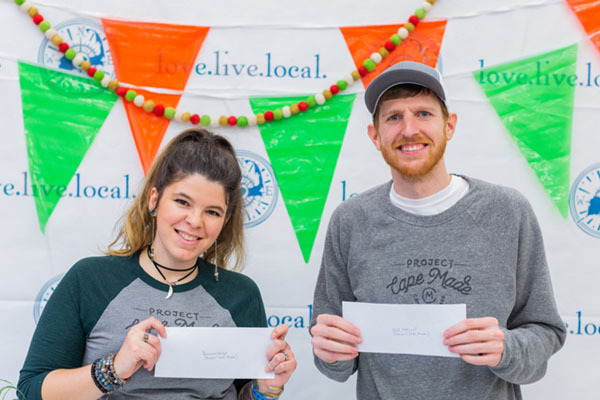 The businesses chosen in the spring grant cycle were Cape Cod Home Remedies and Washershore, and we are so excited to announce our fall award recipients are Lyza Roderick of Dreamsongs and Josh Fitzmaurice of SLYK Shades. We chat with them here so you all can learn more about their respective businesses, as well as what they plan to do with the grant money! Dreamsongs started with a Red Tailed Hawk’s feather that Lyza found at work one day – she felt the urge to make something meaningful with it, and so began her venture in making dreamcatchers. She began dedicating more time to it, and began including jewelry as well, in 2015. I was born and raised here–true “Cape Codder” status– like my father before me and my grandfather before him. My family hails from Provincetown and before that, the Portuguese Azores. Having a connection to the Portuguese community in Provincetown is something I’ve always cherished as a part of my heritage and am proud of. Growing up here was fun but being a teenager on the Cape, however, was not. I remember telling myself when I was 14 that as soon as I turned 18 I was heading for Boston and never turning back. Well I just turned 27 and I’m still here. I’ve been to many different places and fallen in love with a few but there’s nothing like Cape Cod. I’m might move on eventually, but this place will always be home. Tell us about Dreamsongs? How did you come up with the concept? I had always done 2-dimensional art and I really wanted to try something different. The idea of making dreamcatchers just came to me at random one day. I always had one in my bedroom growing up to keep the nightmares at bay, but I wanted the ones I created to do more than just give someone good dreams. I was introduced to crystals as a teenager, so I thought that they would be the perfect addition to a dreamcatcher in order to give it a “bonus” attribute. Other than dreamcatchers, I also make a variety of crystal jewelry, mobiles, and I’ve started selling small batches of crystals and minerals as well. Who is your customer? Who should consider buying your products? My customer base ranges from 3-year olds to 75-year olds and up. I am so blessed with such a wide spectrum of people who buy my work. A lot of kids love to come check out my tent when I’m vending at festivals. They love to touch all the crystals and ask questions and then end up leaving with their first dreamcatcher. The new-age scene is back in full force, so I always have people looking for a special crystal specimen to take home or finding that perfect crystal necklace they can wear all day. A few times I’ve come across seniors who have been collecting dreamcatchers their whole life and will purchase one of mine to add to their collection. Not to mention, Dreamsongs goods make great gifts! A dreamcatcher for the college age person on your list to hang in their dorm room, a crystal mobile for the new parents to hang in their new nursery, some cute and meaningful jewelry for your bestie, and a pocket crystal for that special friend who you know could use a pick-me-up. What is your favorite thing about being a maker on Cape Cod? The community. Hands down. I wouldn’t be where I am now without the support from my local customer base and retailers. The #shoplocal movement just keeps growing and with that, so are so many small businesses and makers. With help from the Project Cape Made grant, I will be giving my brand and marketing materials a much-needed makeover into a more streamlined and professional look. With the new marketing materials will also come a banner to use for festivals in order to attract more potential customers as they browse. 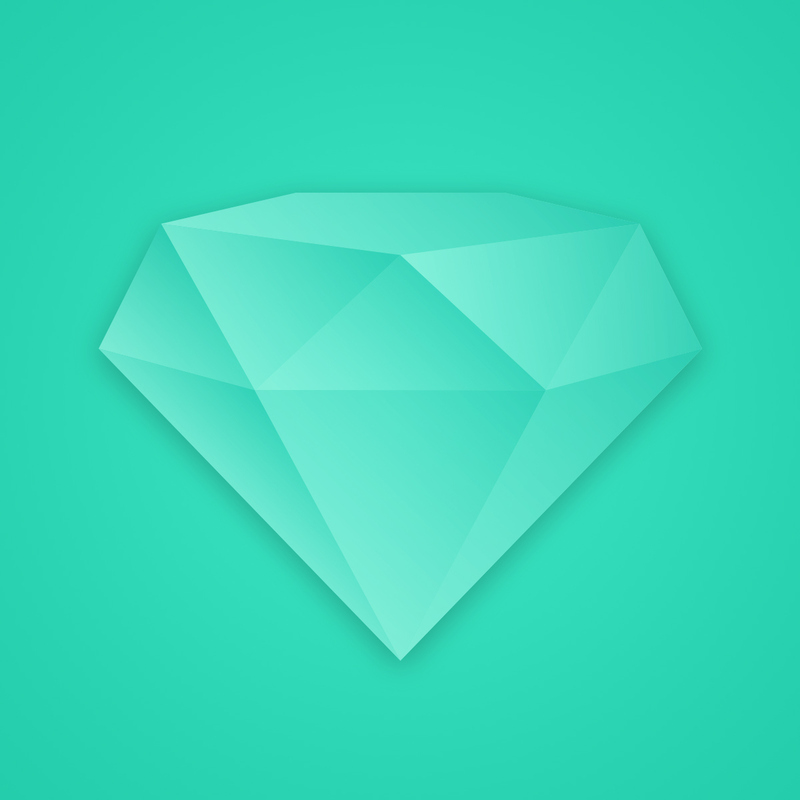 I’m hoping to also add custom jewelry cards, stickers, “snap+share” social media cards, and crystal meaning cards. Social media has become such a critical tool for small business, so I am hoping that with this new branding/marketing package, I will attract more potential customers not only in person, but online as well. Describe your perfect Cape Cod day? Let’s start out with a perfect 80 degree day with a slight breeze and no humidity with a dead-of-winter type traffic report. A breakfast date at Ann and Fran’s in West Yarmouth with the fiance to start the day and then take a cruise up 6A to the outer Cape with some friends where we would take a stroll down Commercial Street, grab lunch and drinks at one of the many amazing P-town restaurants, and finish it off with a malasada at the Portuguese Bakery. 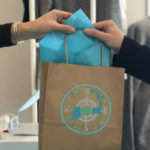 On our way back, swing into ARTichoke in Eastham for some new threads, then head to Nauset Beach to watch the waves. Once we return home later that day, I’d put in some me-time and take our dog, Puppy for a walk in the woods at Horse Pond in West Yarmouth, one of my favorite trails on the Cape. Finally, cap the day off with a romantic dinner at C Salt in Falmouth with my love. SLYK shades aims to provide premium quality products while spreading positive messages to the most important part of our company, our customers. Their wooden sunglasses are made with exceptional craftsmanship and the finest materials. I was born and raised in Sandwich and now back here after time in Boston. Tell us about SLYK? How did you come up with the concept? SLYK was born while overcoming a chronic illness as a creative means of distraction that shaped into what it is today over time. My customer base has been a lot wider than initially expected, it has been very broad. The community has been so supportive and meeting so many amazing people. It will help me purchase my own laser engraver machine to be able to do custom orders on site. My perfect cape cod day would be spending time with friends and family, going to one of the oceanfront restaurants, spending some time on the beach and finishing it up with a bonfire.